(i) Master’s Degree in Physics or Chemistry or Bachelor’s Degree in Engineering or Technology from a recognized University or equivalent for respective discipline. (ii) Four years’ experience in Research and Development in Industrial and Academic Institutions or Science and Technology organisation and scientific activities and services. Desirable:Doctorate Degree in Physics or Chemistry or Master’s Degree in Engineering or Technology from a recognized University or equivalent for respective discipline. 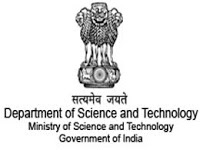 (ii) Eight years experience in Research and Development in Industrial and Academic Institutions or Science and Technology organization or and scientific activities and services, out of which four years shall be in science and technology programme, planning, development and cooperation. Scientist ‘C’ - Rs. 15600-39100 (PB-3)+ Grade Pay Rs. 6600/-. Scientist ‘D’ - Rs. 15600-39100 (PB-3) + Grade Pay Rs. 7600/-.